Planning a party or banquet for two . . . or two hundred? 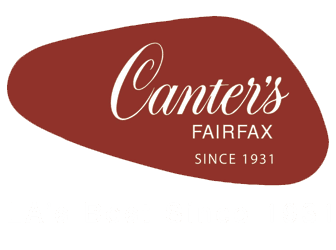 Try Canter’s Catering Service. You’ll be pleased … and so will your guests! We feature a wide range of cold cuts, salads, sandwich platters, fish platters and vegetable and fruit platters. A wide range of fresh and fancy pastries also await your selection at our Bakery. Our Bakery is available to bake special cakes for Weddings, Bar Mitzvahs, Birthdays and all special occasions. Drop by the Bakery or call (323) 651-2030 for more information. Chopped liver molds. Will serve 10 to 15 people. Orders must be placed 24 hours in advanced. With sour cream and onion dip. Breast of chicken, tomato, scallions, almonds, rice sticks, mix lettuce, mandarin oranges, tossed in a sesame vinaigrette. Romaine, carrots, avocado, garbanzo beans, tomatoes, cucumber, green and red peppers, celery, extra sharp cheddar, tossed with balsamic vinaigrette. Romaine, kalamata olives, feta cheese, cucumber, tomato and onions. Green pepper, tomatoes, garbanzo beans, fresh grated parmesan, hard salami, mixed lettuce, tossed with Italian dressing. Mandarin oranges, roasted almonds, green onions in a sweet "n" dressing. Sandwiches are cut into 1/3 giving you more variety and quicker access. Orders must be placed 24 hours in advanced. Potato salad, cole slaw, pickles and olives, mustard, mayonnaise. Our specialty. 10 person minimum. Cookies and miniature danish pastries. Orders must be placed 24 hours in advanced. Includes corned beef, roast turkey, roast beef, pastrami, smoked turkey, Swiss cheese, American cheese, cole slaw, potato salad, pickles, olives, mustard, mayonnaise dressing, rye bread, egg bread, dinner rolls. Per person. Smocked salmon(lox), white fish, baked salmon, cream cheese, tomatoes, onion, olives and assorted bagels. Rugula, cookies, brownies and apple strudel. Feeds 30 people. Orders must be placed 24 hours in advanced.